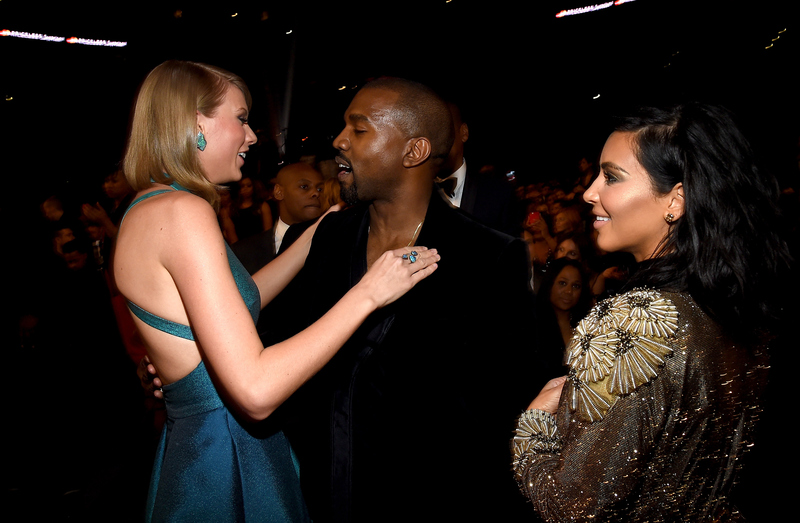 Did Kim Kardashian & Kanye West Break The Law In Recording The Taylor Swift Phone Call? After insisting that Taylor Swift approved Kanye West namedropping her in his song, "Famous," Kim Kardashian shared videos of the phone call on Snapchat. (Swift maintains that while she did talk to West, she didn't know about the lyric where he referred to her as a "b*tch.") On Sunday night, Kardashian posted a video of Swift's phone call with West, causing social media to go into an absolute tizzy. And if it's possible, there could be even more drama to the saga, and it might even involve lawyers. According to TMZ, earlier this year, Swift's lawyer sent a letter to West's about the recordings and asking that they be destroyed. But was what West did illegal in the first place? Figuring that out is important in determining what could happen next. Bustle has reached out to West's rep for comment on TMZ's report, and to Swift's rep for comment on the report and on whether she will file suit. As the site claims, in February, Swift's attorney allegedly sent a letter to West's attorney, asking that the recording be destroyed. As TMZ reports, it's a felony to record someone without their consent. "Demand is hereby made that you immediately destroy all such recordings, provide us of assurance that this has been done, and also assurance that these recordings have not been previously disseminated," the paperwork allegedly says. Since Swift is clearly upset that the recordings made their way to the Internet, it wouldn't be surprising if she does end up taking legal action, especially if legal action was already threatened, as TMZ claims. And as it turns out, in California — where TMZ claims the recordings took place — it is very much against the law to secretly record a phone call. According to the Digital Media Law Project, California is a two-party consent state, meaning that if you're going to record a phone call, both parties involved in the conversation must be aware and OK with the fact that the call is being recorded — especially if it's in a case where the other party could reasonably assume that what's being discussed is private. In fact, the actual law (California Penal Code 631) states that violating it could be punishable by a fine of $2,500 max and/or up to a year in jail. Yikes! If Swift wants to sue or press charges, it sounds like she's within her rights to, but whether or not she actually will take action is a different story. It's not completely inconceivable that West has landed himself in some hot water with this one, and according to TMZ, Kardashian could be included in the suit, too. Kardashian previously claimed that Swift sent a letter to West asking that the audio footage be destroyed in her June GQ profile. TMZ has yet to release the actual legal paperwork that Swift filed, but if it does eventually hit the web, it's definitely going to shed more light on what legal ramifications this could have on West and Kardashian. But to be safe, you should probably go ahead and buy your "Free Kanye" T-shirt now. You never know — you just might need it!